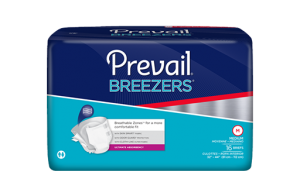 Overview - Prevail Breezers are cloth-like and feature Easy Lock Fasteners to create a custom fit and reseal every time but will not stick to skin. Enhanced breathable zones allow for more breath-ability and greater comfort. They are designed to perform and for comfort. They are rustle free for discretion. The tabs are faster and easier to manipulate. 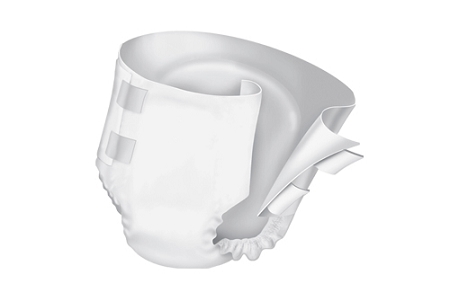 The tabs have a secure grip and fasten anywhere on the cloth like outer fabric. They attach multiple times without adhesives. 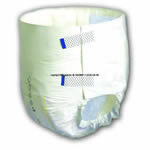 These improvements in the product reduces waste and helps creates a closer fit to help prevent leakage, provides maximum performance, skin is dryer, and the fit is more secure.